How does Frontline Spray work? The active ingredient of Frontline Spray is fipronil, a broad-spectrum insecticide that disrupts the insects central nervous system. Wear household latex gloves when using Frontline Spray. Consult a veterinarian before using on medicated pets, pets being treated with other pesticides, and debilitated, aged, pregnant, or nursing pets. What is the most important thing I should know about Frontline Spray? 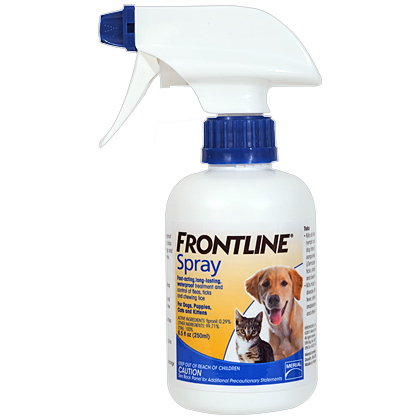 Frontline Spray contains the active ingredient Fipronil (0.29%). It provides fast acting, effective flea and tick control for adult dogs and cats and for puppies and kittens 8 weeks of age or older. It is effective against all stages of the brown dog tick, the American dog tick, lone star tick and deer ticks (the major carrier of Lyme disease). 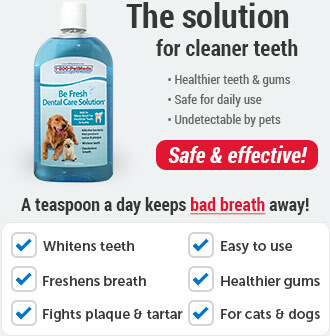 It is also used to kill fleas. Frontline Spray rapidly eliminates infestations with chewing lice and aids in the control of sarcoptic mange infestations in dogs. Frontline Spray is a non-prescription (OTC) product. What should I discuss with my veterinarian before applying Frontline Spray to my pet? 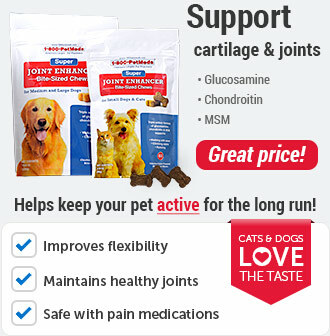 This product is for external use on dogs and cats 8 weeks or older. 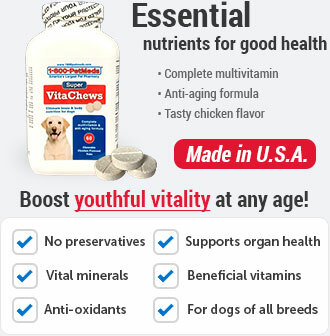 Consult a veterinarian before using on medicated pets, pets using this product with other pesticides, and debilitated, aged, pregnant or nursing pets. Wear household latex gloves. Hold the bottle in an upright position. Ruffle your pet's coat with one hand while applying spray mist to your pet's back, sides, stomach, legs, shoulders, and neck. For the head and eye area, spray Frontline on a gloved hand and rub gently into your pet's hair. Apply spray mist until animal's hair is damp to thoroughly wet. 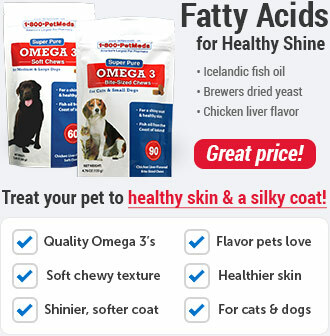 Approximately 1 or 2 pumps per pound of animal's body weight will be required. Reapply Frontline Spray after 30 days. Pet may swim or be bathed 24 hours after Frontline Spray is applied. What are the potential side effects of Frontline Spray? What happens if I miss giving a dose of Frontline Spray? Reapply as soon as you remember the missed application, then resume monthly schedule accordingly. What happens if I overdose my pet on Frontline Spray? What should I avoid while giving Frontline Spray to my pet? This product is flammable. Keep away from heat and open flame. This product is harmful to humans if swallowed or absorbed through the skin. If swallowed, call a poison control center or physician immediately. Have patient sip water. Do not induce vomiting unless advised to and patient is conscious. If on skin or clothing, take off contaminated clothing and rinse skin with plenty of water for 15 to 20 minutes. See package label for treatment if in eyes or if product is inhaled. Persons applying this product must wear latex gloves. What other drugs will affect Frontline Spray? Apply Frontline Spray once every 30 days. Wear household latex gloves. Ruffle pet's coat with one hand while applying spray to back, sides, stomach, legs, shoulders, and neck. 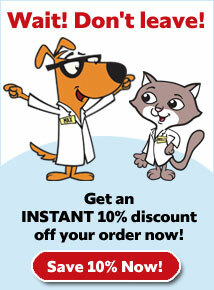 For head and eye area, spray Frontline Spray on a gloved hand and rub gently into pet's hair. Do not get product in pet's eyes or mouth. Apply spray mist until hair coat is damp to thoroughly wet. In most cases 1 or 2 pumps per pound of body weight will be necessary. 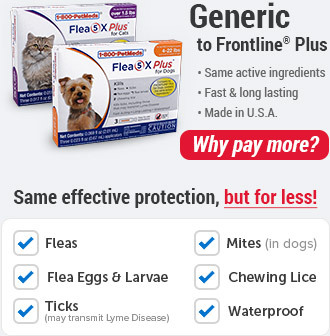 Use Frontline Spray to control existing flea and tick infestations. Use Frontline Top Spot or Frontline Plus every month to prevent flea buildup or reinfestation.